I ended my last post with a quote from Carl Sagan. It was his comments on a photo taken by the Voyager I space probe that inspired the title of this piece. It was the last photograph taken by voyager, and showed a spectrum of dust and unidentifiable fuzz. In that haze, near the right side of the photograph is a small bluish dot. That tiny speck was Earth. It was this photograph that fueled my fascination with space and exploration as a child. Kerbal Space Program has brought that same feeling of awe and wonder to so many of it's players. 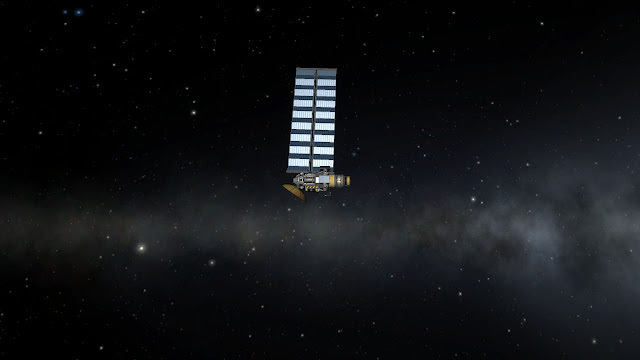 From the first time I made it to orbit, I knew that my time with KSP would be long and joyous. Those of you already enjoying the game can perhaps understand how I felt. I'd like to talk about my journey with KSP, both for those who have not yet played the game, and for the veterans who have been where I have. The first time I played Kerbal Space Program was via the demo. My initial reason for trying it out was to find a space based game I could play with my eldest daughter. I looked for "cheat sheets" for her, something basic she could refer to when wanting to build her own rockets. 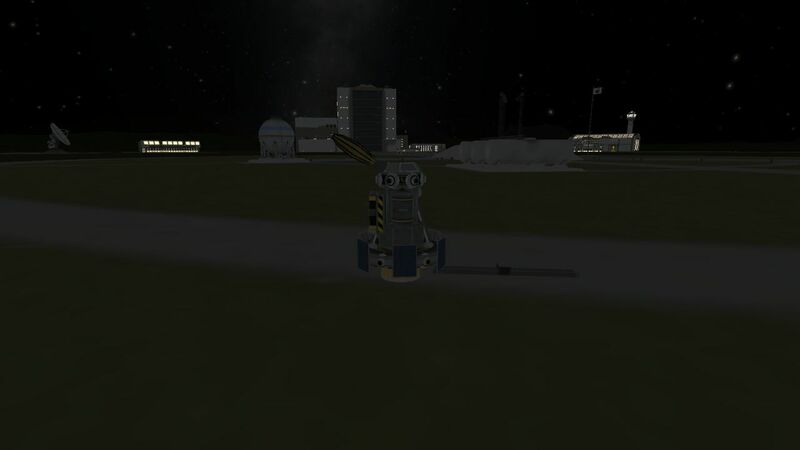 After my search came back with equations for basic orbital physics, she and I decided that I would create most of the rockets, and she would build rovers. I wish I had some screenshots of those early days. I spent a lot of time trying to figure out how to best use the parts available to me. Several early rockets exploded due to overheating before I learned to throttle down, even more tumbled out of control. I made every conceivable mistake. At one point I even managed to make a craft cartwheel through the air for three solid minutes at an altitude of less than 2000 meters. After acquiring the full version of KSP, I started taking my design process more seriously. I started consulting the KSP Wiki for tutorials on how to build functioning rockets. From this, Beacon I was born. It was huge, ugly and almost too heavy to get off the ground. But it made it to the upper atmosphere a few times. Unfortunately, it was supposed to be a satellite. What I got was a lawn ornament. Despite the issues I had trying to get Beacon I into the air, I didn't give up. A few revisions later, Beacon II was ready to launch. This was to be my first succesful flight. Beacon II climbed spectacularly. As I adjusted my heading to get a stable orbit around Kerbin, I watched the planet recede beneath me. Before long, the sun rose from the far side of the planet. I was speechless. My tiny ship was now far above the planet, and would be for as long as I chose to keep it there. I had launched a satellite. The words to really describe that moment will never come. All I can say, over and over again, is that it was truly awesome. Others have done so much more with KSP. There are self assembling moon bases, enormous colony ships, even an artificial gravity ring. But I'm proud of my fleet of unmanned craft. I've come a long way since Beacon II. I now have two different craft on track to intercept Duna (the Mars like planet of KSP) as well as a basic satellite orbiting Kerbin. Whatever you are able to accomplish in KSP will feel like an incredible victory. What is really special about KSP is that in a time when many people seem to have lost interest in space travel and exploration, Kerbal Space Program reminds us that we can accomplish incredible things. Almost everything you see and can do in KSP; satellites, landers, space stations, rovers, manned missions, these are things that we are really doing. The Curiosity Rover is just the latest in a long line of incredible achievements. We have a permanent space station. We have landed people on our moon. The difficulties you experience in KSP serve to solidify your understanding of the magnitude of real space travel and exploration. I hope that KSP is able to continue to inspire people. I've always believed that one of mankind's best qualities is our desire to explore new places. Don't let anyone tell you different, KSP is rocket science. Better yet, it's rocket science for all of us. If you've been frustrated with Kerbal Space Program, I urge you to keep trying. I've heard a few people say that they've given up, that it's too hard to get anything into orbit, let alone to other planets. Don't be afraid to reach out to the community. You will find one of the most encouraging, helpful group of people out there. The KSP Wiki is a great place to start, but I also highly recommend Scott Manley's videos. He's made a ton, and has probably already answered all of your questions somewhere in his numerous tutorials. Finally, some people will tell you that mods are cheating. 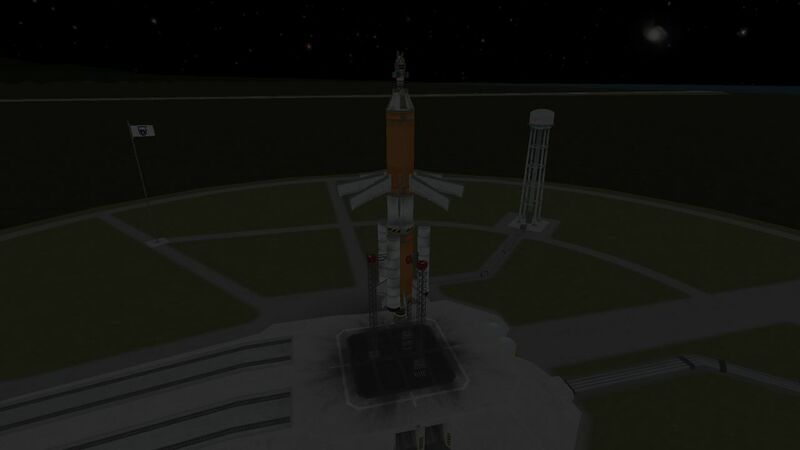 There are some built to exaggerated specifications, but in the Spaceport there are numerous others built to enhance your time in KSP with new engines, parts and features. You can also download ships built by other players, something especially handy for getting the basics of ship design down. If all else fails, watch this. It's comforting to know that rocket building doesn't come easily in real life either. Finally, though I've taken a great deal of your time already, I'd like to share with you the quote and photograph that first sparked my infatuation with space more than 20 years ago.